Happy Christmas everyone! Here is a tribute to someone I think about all year, but especially during the holidays. Are popularity and quality mutually exclusive? Certainly not. But in the world of jazz, selling millions of records tends to guarantee that you will be dismissed as a lightweight. I can find no jazz critic with anything positive to say about the top-selling instrumentalist of all time, Kenny G, though perhaps the blandness of his music justifies the upturned noses. But there has been similar criticism of Herbie Mann, whom the Penguin Guide to Jazz describes as “influential, but cursed by commercial success,” as though success is the opposite of quality. I don’t claim to be an expert, but I listen to a lot of jazz. My favorite style is West Coast: Stan Getz, Dave Brubeck, Paul Desmond, Chet Baker, George Shearing. 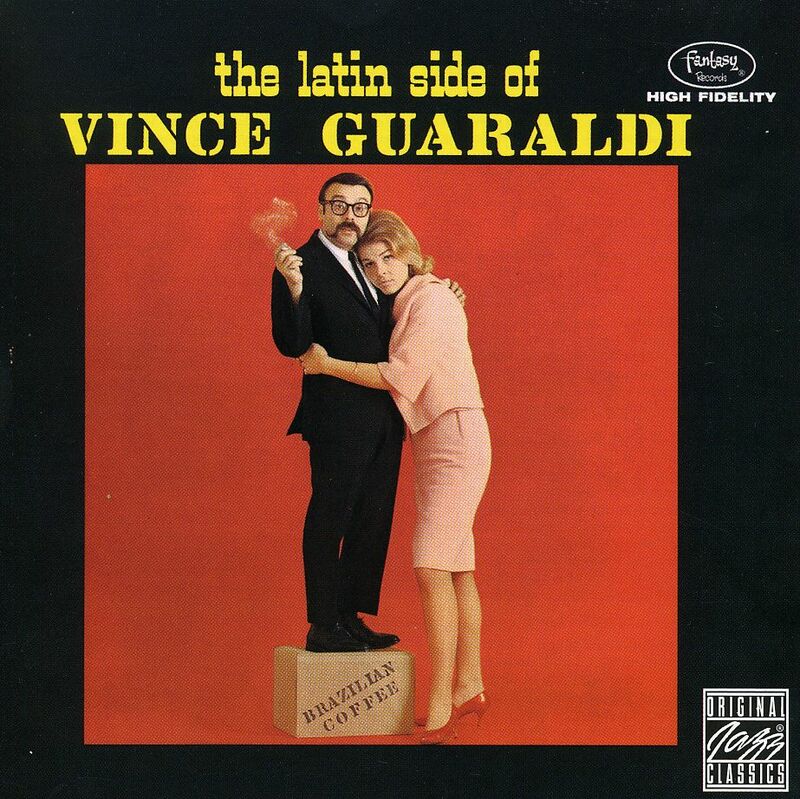 Among these apostles of the Cool, Vince Guaraldi has a special place in my perfect playlist. Musically speaking, your first love is sometimes the sweetest. Portrait of a 1950’s California hipster: blue jeans, slicked-back hair, comb in pocket. Click for source. Guaraldi created A Charlie Brown Christmas in 1965, the year I was born, and it debuted in December, when I was three months old. The album eventually went triple platinum, entered the Grammy Hall of Fame, and ended up on the Library of Congress Registry of culturally significant musical recordings. The television show was aired every year for decades afterwards and became a fixture of my childhood. 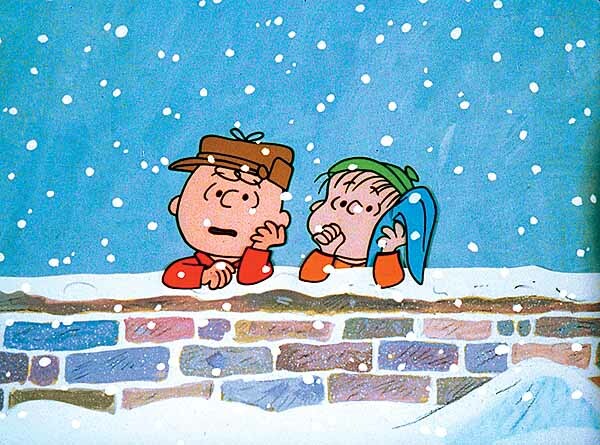 Charlie Brown and Linus ponder the great mysteries. When I was a kid, everyone loved Peanuts. It was an unusual comic with a philosophical bent and a Zen-like minimalism. I liked it too, but what really grabbed me about the Christmas show was the music. I had never heard anything even remotely like it. It was by turns contemplative, wistful, evocative, and in the special case of Linus and Lucy, exuberant. The driving momentum of that song comes from Guaraldi’s boogie-loving left hand, way down at the deep end of the piano. But then the song unexpectedly shifts and becomes a flower petal dancing in a rivulet of spring rain. The sheet music for “Linus and Lucy.” Click to hear it on Youtube. We ladies know that the gentle touch is often the best. I love Dave Brubeck, but sometimes his staccato, aggressive approach to the piano becomes too rough, too harsh. Guaraldi is the master of the deft, light touch, yet his music at its best leaves you with something lasting and substantive. Like a Japanese haiku, it evokes a mood, a season, a riddle. A great example of this is his first big hit, “Cast Your Fate to the Wind.” Again the powerful left hand provides a moody undercurrent, but the song ultimately feels gentle and meditative. Click for the song “Samba de Orpheus” on YouTube. Guaraldi’s interest in Brazilian music also led to his three-album collaboration with Bola Sete. “Star song” has the unmistakable sound of a Guaraldi composition. His best songs convey a feeling of quiet contentment, as though one is sitting on the patio with a bottle of wine after a perfect summer day. And look how many people he turned into lifelong fans of jazz. Vince Guaraldi died in 1976 at the age of 47, far too young. But few jazz musicians have been as influential. Check out Derrick Bang’s Vince Guaraldi blog here and see his year-by-year account of Vince’s career here. Your posts are always interesting, and your interests vast. I think you can stop saying you’re not an expert because you really are, and quite. Thanks Midwest 🙂 And thanks for the tip on the link! And a very Merry Christmas to you and yours, Simone! Merry Christmas! I definitely got my Charlie Brown Christmas today. I feel the same about Brubeck. I have the be in the right mood for sure. Yeah, I love the classic album “Time Out” but it’s not necessarily what you want after a rough day at work, LOL!